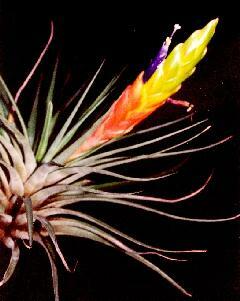 Rob Bower ..."My 'acostae' has flowered but it's a single spike and all the pics I can find of it are multi-spiked. Can anyone shed any light on this?" 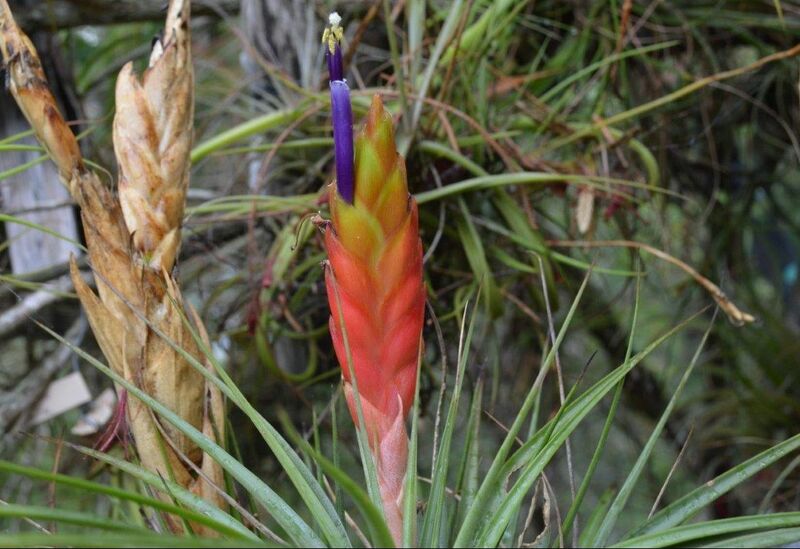 Andrew Flower ..."This is not unusual, and some species such as Tillandsia rhomboidea (used to be called "T. acostae") are particularly prone to it. Coincidentally I have a seedling of T. rhomboidea flowering at the moment with a single spike - from seed that came from Oz in 2004 labelled "acostae multispike ex Bob Reilly" ! 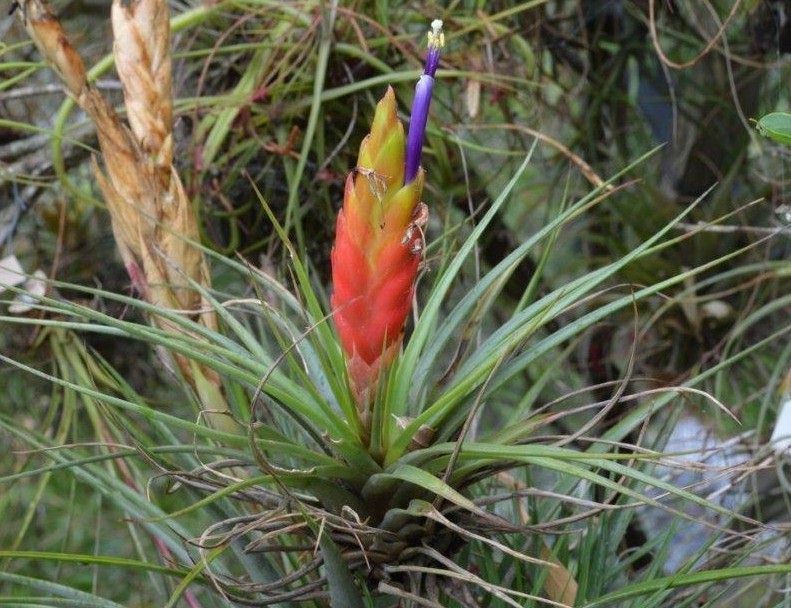 One extreme example is Tillandsia 'Dr Ropata' from Guatemala, (see this web site), this one three offsets with different numbers of spikes all on the same plant. Plants are quite plastic in certain characteristics, governed by so-called "quantitative" genes, that will develop quite different forms of leaves, stems eg., depending on internal and external environment differences - much more than you get in sexual parts governed by "qualitative" genes. I'm not sure which category different spike development fits into!" Derek Butcher ..."It is interesting how some names just stay around and acostae is one. It was made a synonym of T. rhomboidea in 1994 by Harry Luther. According to Smith & Downs in 1977 the main difference was how the posterior sepals were joined. According to the description a single spike is the most common but anything goes with human selection and growing conditions." Chris Larson ..."I just checked the disc to jog my memory. I note that the distribution of T. rhomboidea doesn't extend to Peru where one of the prevalent forms here, collected by Rob Phillips, came from. From my understanding/memory - in the old days acostae forms came from the north, rhomboidea came from the south of its range. Then Harry combined them. As with any species collected across a distance, they have slight differences. I know other collectors who follow my (sometimes confusing) practice of leaving the old name label on to differentiate between different forms of what is now the same species but sometimes we forget and they slip out. This principle of using the old name to differentiate forms is why the name T. tomasellii & T. kruseana are still kicking around. 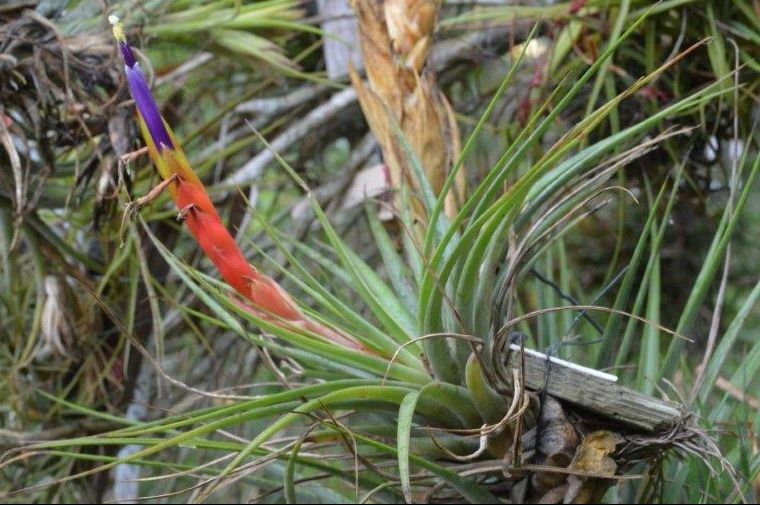 We should all remember to change the tag (in this case to T. xerographica) when passing it on - and may be have something like "T. tomasellii form" or "ex-tomasellii" written after it if it is considered necessary. And the same with "acostae"."